How to add sound to play after opening flipbook? Think of your book too monotonous? 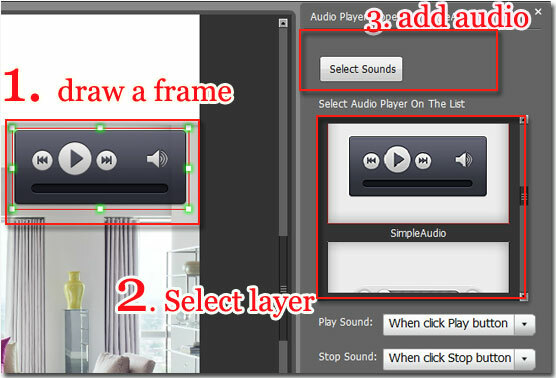 You can enhance your flipbook by adding audio/music/sound. According to your book content, you can select the shocked or relaxed music to adding.If you are interested in adding audio to your flip pages, you can read on the below article now. I think it will be very useful for you. It is easy to do with using A-PDF to Flipbook Pro program. To help people make an interactive flipbook, this program integrates with a powerful Page Editor, which is developed for adding media (such as audio, hyperlink, vivid video, image and button) to book pages. Step6: save and exit to enjoy the audio.